This is a pond called Shinji-ike. 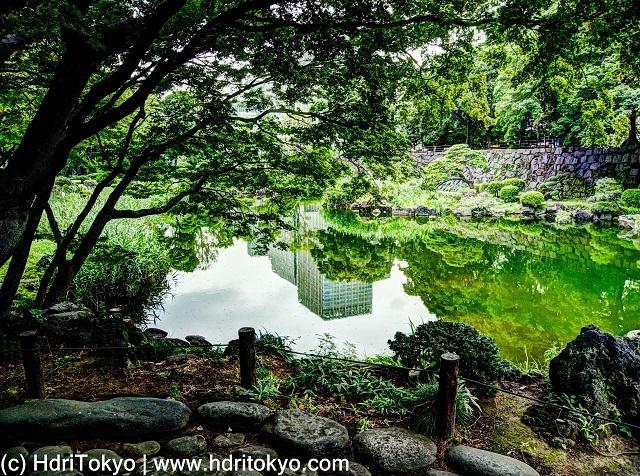 Hibiya park was created as a western style park, but the pond and the surroundings are designed as Japanese traditional style garden. 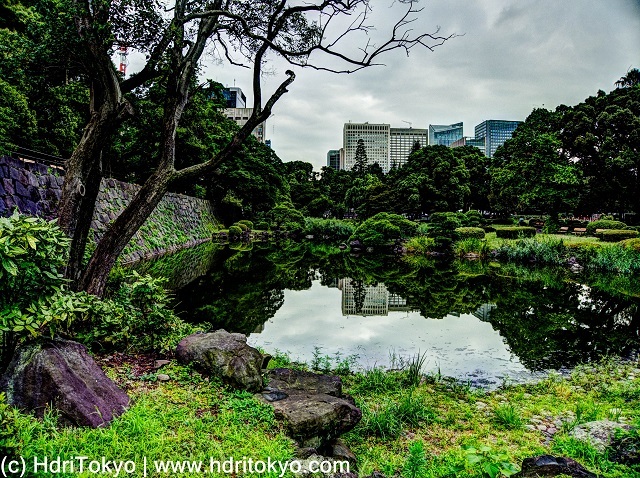 This pond was used to be a part of one of moats of Edo castle. You can see stone walls on the side of the pond.